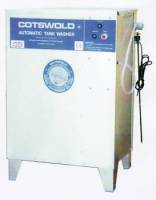 Cotswold Stainless Steel Bulk Tank Washers A wide range of quality bulk milk tank washers, from the UK's leading manufacturer. Constructed from Stainless Steel, giving long reliable service. Called the 'Black Solenoid Valve'. Suitable for Diversey and many other bulk milk tank washers.